A "Close Up" of folk musician Suzanne Vega. SITTING BACKSTAGE AT the Moore on a February afternoon, Suzanne Vega looks like she’s cold. She sips a steaming beverage and holds her arms close to her chest. A flowing scarf frames her milky white face and amber hair. Decked out in high-rising boots and loose black garments, she fits the picture of your typical Seattleite. Alas, the folk songstress is a New Yorker through and through. It’s where she grew up, it’s where she lives now, and it’s where she launched her career. In the mid-1980s, Vega became the most prolific musician to emerge from the city’s folk circuit, merging into the mainstream with hits such as “Luka” and “Tom’s Diner” and records Suzanne Vega and Solitude Standing. Other albums would follow, though commercial success would wane. 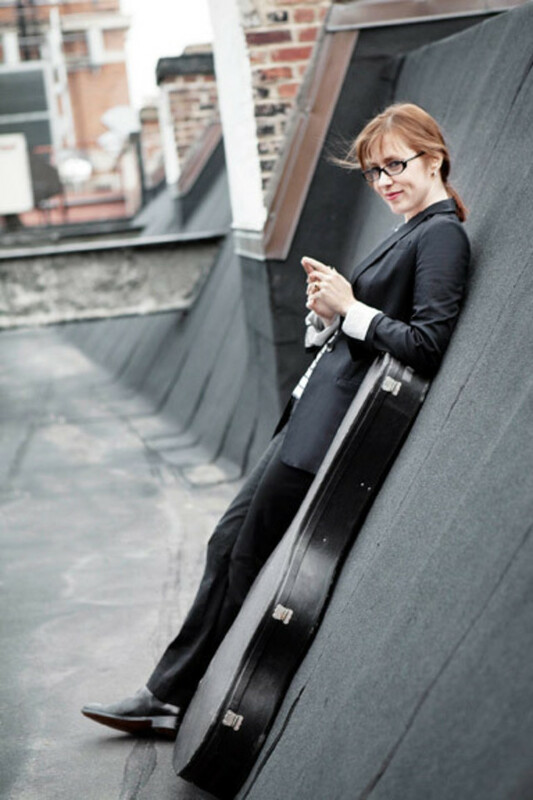 Now, more than two decades after her debut, she is revisiting that extensive catalog for Suzanne Vega: Close Up, a four-volume collection of mostly acoustic recordings. How did Close Up take shape? I had thought of grouping the songs together by theme five or six years ago. That’s more the way I play live. When I found myself without a major label deal, I thought, okay, I could rerecord some of the favorite songs people know, call it a greatest hits or another retrospective, but then I thought why stop there? I know most of the songs, I play them all the time, so [why not] just go in the studio, record them in a straightforward, stark, simple kind of way. That way I could give my core audience a new version of the older songs. For a while we were negotiating with a major label. Once it looked like they were stalling and dragging their feet, we just took the plunge and I decided to start it myself. It’s just been like, you know, whatever the metaphor is, pedal to the metal—straight ahead, no stopping. Has that been a liberating transition, from working for a record label to running your own, Amanuensis Productions? Yeah, and sort of scary. Now it’s sort of this wide-open field…I can do what I want, however I want, with whomever I want. I’ve got to just figure out what to do. But it’s great not having to explain something to someone. It’s nice to feel that I’m only limited by my imagination. So does that mean with Close Up you’re taking these songs in the direction you had always hoped for? No, no. I have no regrets about where I’ve been. I wanted people to hear beyond the production. Every time I’ve made a record some people jump and seem to go, I like the songs I hate the production; some people are like, I love the production, I think the songs are not so great; or, We don’t like her voice. So I feel like with the Close Up series you can just have the bare bones—this is the starkest it will ever be with me. It’s a version that lives in the world now, and I can do what I want with it. But that doesn’t mean it’s the definitive version or the way it always should have been. The collection of songs does feel very natural and really allows your voice and your stories to take center stage. I played it for so many years before I had a record deal or band with just myself and the guitar, and I’ve always felt there was something that really worked in that stark way. I had faith in it, in spite of the fear people would go, This is very unadorned. But you know, I felt that there was an element I had tested before and it would ultimately stand up. You’ve basically lived in New York City your entire life. How integral is the city to your music, considering storytelling is the bedrock of your songs? The songs are a byproduct of the actual life you get out there and live. Because it’s an island and because it’s so, in that sense, isolated, and there’s so many people all over—on the subways, on the street—you’re constantly rubbing up against someone, sometimes literally, that you don’t know and they’re not like you; they’re another race, another class. You’re constantly taking in all this new information. And that’s just incredibly stimulating. Some people hate it and can’t deal with it, but other people like me are taking it all in. It must be nice to have a break from writing songs, given that you’ve been doing it since you were 14 years old. The thing is, the older I get the less impressed I am with myself. I mean, when I was just starting out I was so thrilled—I could do anything. In the beginning it’s easy to be impressed with yourself because you’ve never done it before. The fact that you can write two verses and a chorus is like a miracle. So these days I am constantly thinking, How can I do something better than what I did before? How can I write something that still has the true feeling in it but that’s not where I am repeating myself or taking the easy way out. I set a high standard for myself, and I try to get it. Without major label representation, do you feel you’re back where you were when you first started your career—where you’re really making a name for yourself, forging your own path? In some ways I do. But it’s not quite the same, because now I have all this history, and people associate me with a certain time in their life. In the beginning there is this great feeling of people discovering you for the first time…. Now you tend to get hit with people’s nostalgia; I’m not so much a fan of the nostalgia. I’m not sitting around thinking, Oh I wish it were 1985. NO, thank you. [Laughs] I’m looking forward to new people discovering the material. Lately I get kids who come with their fathers, or kids who come with their mothers—little kids, and teenagers. That feels right to me—it’s always been a weird mixture of people, and I hope it continues to be that same mixture.